It all happend in the Box. And so it was that I was asked again to help mr. Boogie Woogie on his newest album “the Big Easy”. And that is always an honor! 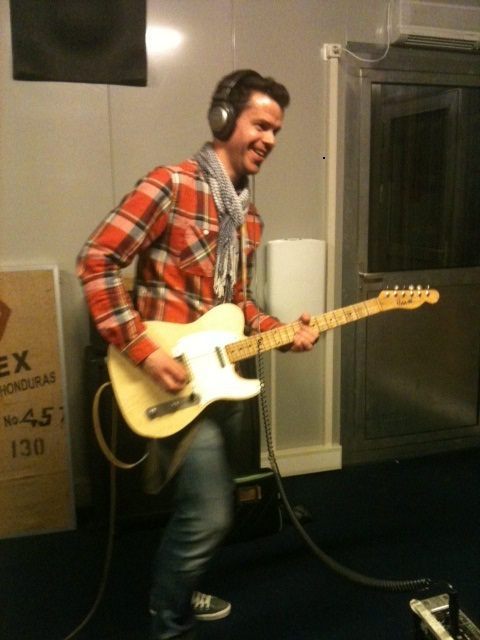 Marcel Schuurman already did a nice job on the “live” recordings in the studio. They recorded 24 songs in a couple of hours without any overdubs besides vocals, what an achievement! And than I’m the lucky one that mr. Fats Domino had 2 guitar players in the ol’ days. And that Marcel isn’t able two play 2 guitars at once… (the guitarlessons from Michael Angelo were all fully booked I guess… *LOL*) So here I am, slaming 2 and 4 on a 2 by 4.